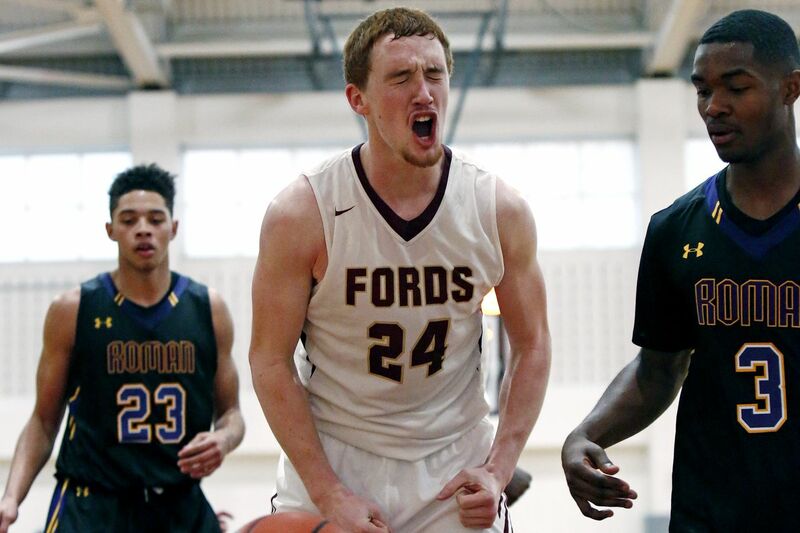 Haverford School's Christian Ray has committed to play for La Salle University and new coach Ashley Howard. Becoming new La Salle basketball coach Ashley Howard's first commitment from the class of 2019, Haverford School senior Christian Ray pledged Wednesday night to play for the Explorers. "From the minute I sat down with Coach Howard, I liked his plan for the team moving forward," Ray said. "It's a new era in the program, and he's determined to win. That's what I'm all about, too." Haverford School’s Christian Ray (right) drives to the basketball in a game against Roman Catholic. The 6-foot-6, 205-pound wing chose La Salle over Bowling Green, Lehigh, Princeton, Rice, and Stony Brook. He took unofficial visits to all but Bowling Green and Rice. "Coach Howard was part of a lot of wins at Villanova," Ray said of the former Wildcats assistant. "I also like that he was very straightforward with me when I talked to him about how I would fit in with the team." Ray averaged 19 points last season while leading Haverford School to a 23-6 overall record and, with a 10-0 mark, the Inter-Ac League title. He was voted the league's most valuable player. The 18-year-old from Gap, Lancaster County, plans to major in business in college. His older brother, Jackson, is a junior pitcher for La Salle's baseball team.